Virus Attacks on computers are often happening by which sometimes we lost almost all of the effort. And for protection from such viruses attacks a lot of best free Antivirus are available also on internet. But now such a USB stick is invented which clear, remove and Fix all type of computer viruses by just connecting it with PC. 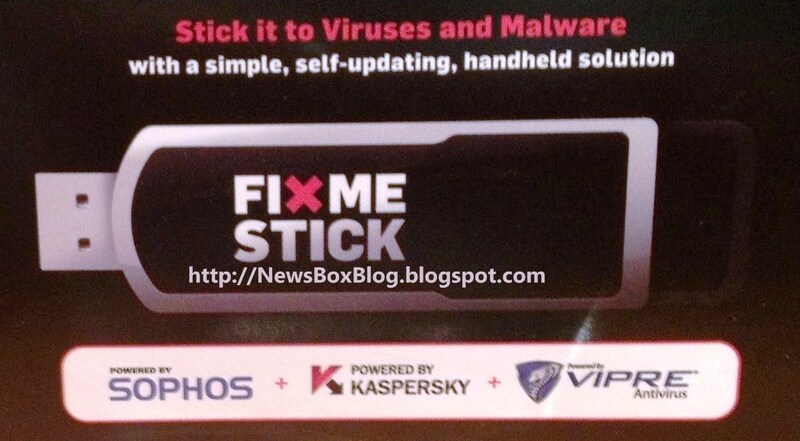 FIXME STICK is recently released, to make computer free of virus is little hard work but not for it. FIXME STICK can also detect all such files which other Antivirus software’s or programs missed during processing. It is very simply to use, you just have to connect it with computer. Then you just have to sit back and it starts working and did complete scanning and fix all infected files. It works as an automatic protected disk and remove all of the stuff which can give harm to your computer. It re starts computer, inspect it in detail and then load it. FIXME STICK took few hours in scanning; time is based on size of hard disk, and will take 45 minutes to remove virus Malware from computer. There are three world best Antivirus programs works together in it names; SOPHOS, KASPERSKY and VIPRE. It is a simple, self-updating and handheld solution. A company of MONTREAL invent this new device and the price of FIXME STICK is almost 50$.